AYM Commerce specializes in breakthrough digital technologies and online business in the Middle East and across the globe. AYM Commerce’s pioneering approach is to act a growth engine for our partners by building extraordinary digital and online technologies that expand their businesses and that will shape the future of key industries in the Middle East and beyond. We work with some of the world’s most prominent brands. Our objective is to build extraordinary digital and online technologies that will shape the future of key industries in the Middle East and beyond and create attractive returns for our investors. To achieve this goal, we seek to forge lasting partnerships with entrepreneurs, technologists and executives and deliver the capital, industry expertise and broad network of relationships needed to succeed. We believe our specialized industry knowledge, experience and relationships provide us with important competitive advantages as we pursue growth. AYM developed the technology and the e-commerce platform for a new leading online grocery and shopping app in the region, hosted on Danube.sa. The beta version of the Danube app attracted high user volumes with the new version set to break new ground in the MENA region’s online grocery and shopping space. One of our most valuable resources is our highly experienced senior leadership team who approach our investments with global perspective and local expertise. 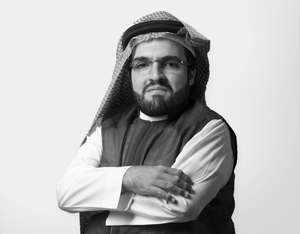 Majed M. Al Tahan is an award-winning entrepreneur and young e-commerce leader in the Kingdom of Saudi Arabia with a great passion to impact the apps market. A first mover in the Kingdom to tackle the e-commerce grocery space, from an early age, he was eager to build his own businesses and take the entrepreneurial plunge. After graduating university with an architecture degree, he started working as a real estate developer working with some of the biggest names in the industry. During this period of six years, he continued developing ideas for his next business move. Majed recognized that e-commerce was the missing element in the Saudi commerce landscape at the time and he grabbed the opportunity to begin his journey to build the first ever online service for grocery shopping in the Kingdom with the BinDawood group. In 2016, he co-founded Danube Online and founded AYM Commerce as the platform to power the technology needed to revolutionize the Middle East’s e-commerce space. Within one year of launch, Danube Online and the Danube App had redefined the grocery retail landscape in Saudi Arabia and won ‘Retail Technology of the Year” award at the Seamless Awards, 2017, where AYM Commerce was also named ‘Start Up of the Year’. Majed’s accomplishments were recognized as a contender for the “Digital Leader of the Year Award’. Majed Al Tahan thrives on excellence and believes in people first. Today, at the helm of Danube Online and AYM Commerce, he’s focused on developing the technology behind the e-commerce app and spearheading the transformation of grocery shopping space. Paul Kenny is a renowned technology Entrepreneur in the Middle East. Kenny is one of the most important figures in the startup space in the MENA region and is an active investor, mentor and advisor to numerous companies around the world. He is a founding partner at Emerge Ventures, a venture capital firm focused on high-impact early stage and Series A investments in Emerging Markets. Kenny previously founded Dubai based online coupon website, Cobone, which was later sold in a multi-million-euro deal, to the US based investment firm Tiger Global Management. Paul has been selected as the 10th most influential person under the age of 30 in the Middle East, one of the 25 most important people in technology in the region, in the Top 10 Entrepreneurs in the Middle East by Gulf Business and one of the 30 under 30 shaping Ireland’s future by Ireland’s biggest news website; The Independent. In September and October 2012 Paul won the Middle East Entrepreneur of the Year by Gulf Business and the Ernst & Young Emerging Entrepreneur of the Year award, highlighting the explosive growth achieved so early in his career. He has made numerous investments into Technology companies worldwide and sits as a board member and advisor to several companies. Suky Bal, has worked on technology innovation across MENA, North America and Asia Pacific. Working on multiple verticals, delivering technology that drives business value. As CTO, Suky is responsible for building out AYM’s technology teams and strategic technology partners. With offices in Dubai, Budapest and Karachi, a multi-disciplined team has been created to serve AYM clients. Delivering scale, expertise and multi-functional capabilities. Suky serves on several boards, offering technology guidance and insight into emerging trends. Prior to AYM, Suky headed up Loyalty Technology division for AIMIA MENA, focusing on corporate clients in CPG, Banks and Retail. The role required suky to be accountable for e-2-e delivery and operations, with clients spanning multiple markets. 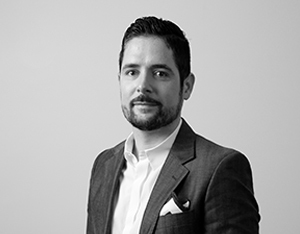 Byron Koller is a leading marketer in the MENA in the e-commerce space with expertise in online marketing, e-commerce, cross channel marketing automation, strategy and leadership, product and market development. 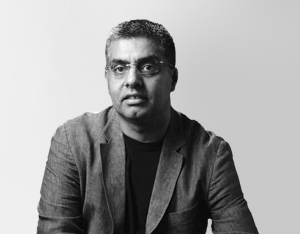 He has gained profound expertise in the growth of emerging markets from his time leading the marketing function across a variety of the Middle East’s tech start ups and leaders including Cobone.com, where he was Co-founder and CMO and Souqmal.com. 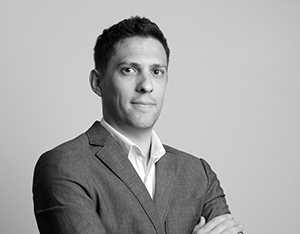 Originally from South Africa, Byron resides in Dubai and is currently leading the marketing function at AYM. Siobhan McCarthy joined the AYM group as director of communications in May 2017. She leads a team responsible for developing the communications strategies that help advance the company’s mission to build exceptional technologies and companies of enduring value across the MENA region. 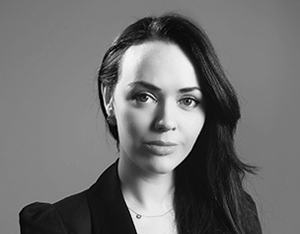 As a communications consultant, Siobhan has over 14 years of experience creating and implementing multi-market communication strategies. She has worked with multinational corporations (listed and private), governments, brand and NGOs. In the Middle East, prior to joining AYM, she was the head of corporate communications at Travelport for Europe, Middle East, Africa and South Asia, where she was responsible for providing leadership and support in the delivery of global corporate communications and PR objectives related to Travelport’s commercial priorities and strategic initiatives across the region, including driving all regional PR and employee communications programmes. Previously, she led Edelman Middle East’s pharma, medical device and consumer health businesses where she worked with clients such as Johnson & Johnson, Pfizer, Astra Zeneca, Yum! Foods, Pepsico, Wrigley, BRF/ Sadia Foods, Lifescan, Medtronic, Cleveland Clinic Abu Dhabi Hospital. She also developed and managed the Edelman affiliate network across the Middle East and Africa. AYM is now employing over 60 people to support our projects across the region and who will lead the company to achieve our vision of building extraordinary digital and online technologies that will shape the future of key industries in the Middle East and beyond, creating attractive returns for our investors. For our growth and expansion, we are seeking new talents to join our l team.